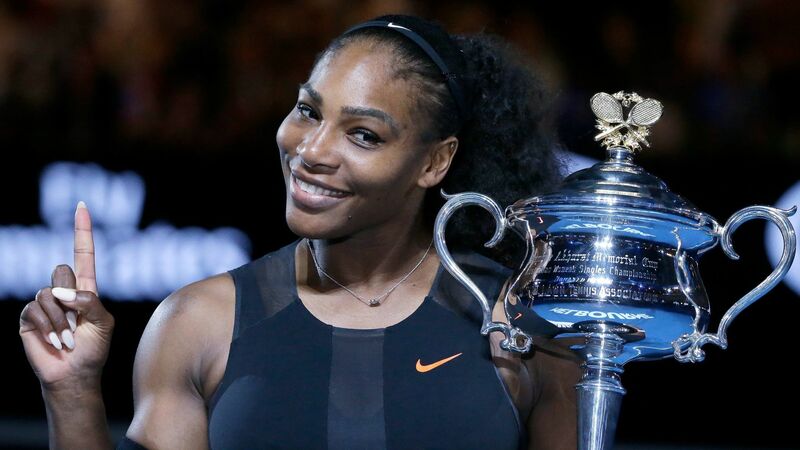 KOOYONG Classic organisers have joined a growing band of suitors for Serena Williams as the US superstar accelerates her Australian Open defence. Williams, 36, will play her first match since January on Saturday, headlining the Mubadala World Tennis Championship alongside Novak Djokovic. As intriguing as Williams’ comeback match in Abu Dhabi against French Open champion Jelena Ostapenko is, the race for her services in the week before the Open is equally fascinating. If Williams wants to have more matches before the January 15-28 Open, she has several potential options. She has already been offered a wildcard into the Brisbane International next week, when she would be granted a late start to the event. She could also join her sister Venus at the Sydney International at Homebush the following week, where she would also be a wildcard entrant. Priceline tournament director Peter Johnston has joined the fray, contacting Williams’ management to consider the January 9-12 event at Kooyong. “We’ve approached Serena’s management about the possibility of her playing a match at Kooyong,” Johnston said. “We’re still waiting on a response from Maria Sharapova to play the Priceline Classic, but we’ve certainly put it out there to Serena’s management. A complicating factor for Williams is that she would potentially face a fine from the WTA Tour if she appears in a special event at Kooyong instead of playing a tour event in the same week in Sydney. Because Williams is ranked inside the top 50 at No 22, she would be docked for competing against a Tour event. Sharapova, ranked No 59, would be exempt from penalty. The Russian former world No 1 will contest Shenzhen next week before returning to Melbourne for the first time since 2016, when she tested positive to banned substance meldonium — on the day she bowed out of the Open quarter-finals to Williams. “We’re still hopeful Maria will play at Kooyong,” Johnston said. If either Sharapova or Williams shows up at Kooyong, it would be a wonderful opportunity for Melbourne teenager Destanee Aiava to test her game against the champions. Johnston has assembled a powerful men’s line-up, led by David Goffin, Dominic Thiem and Marin Cilic. Rejuvenated Australian Matt Ebden, who has climbed back into the world’s top 80 after a long injury battle.